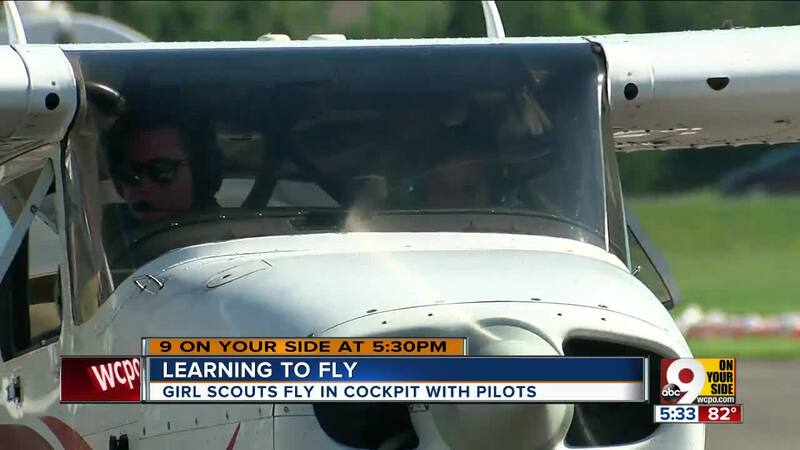 DAYTON, Ohio -- A few local Girl Scouts are spending their summer vacation learning to fly. 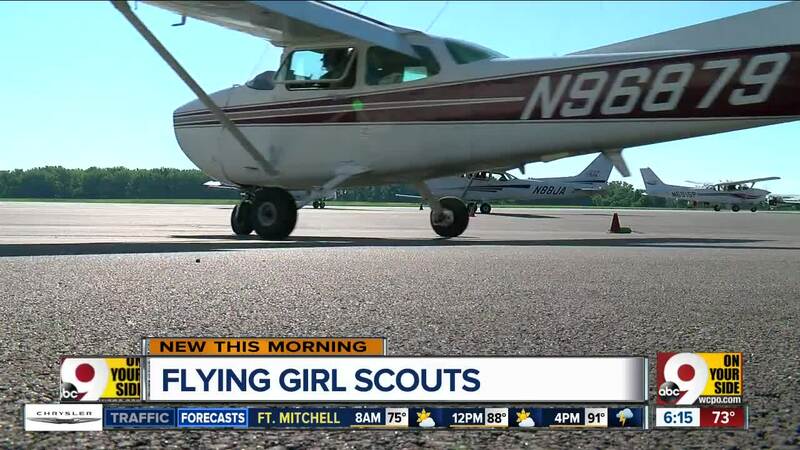 "They're really excited that they get this opportunity," Sarah Kelly, the program and partnership team leader of the Girl Scouts of Western Ohio, said. "They understand how amazing of a chance it is and not every girl gets to do it." This is the first year the Girl Scouts of Western Ohio have partnered with Air Camp , a Dayton, Ohio-based summer camp. The girls in the program are getting a bird's-eye view of the camp's program, which emphasizes science, technology, engineering and math, or STEM. Organizers said attracting girls to the camps has been difficult. "They always stayed about 25-30 percent female, and we were always frustrated by that," Air Camp Inc. president Vincent Russo said. Teaming up with the Girl Scouts changed that, and this year's iteration of the camp filled up quickly. During the flights, the girls don't fly solo. There's a licensed pilot supervising, but they do get control of the plane. "I got to control the take-off and it was really easy. It was just an amazing experience," 12-year-old Ava Ostendorf said. They are being taught how to take apart and assemble engines, make and fly gliders, and learn about wind tunnels. "The girls are learning physics, they're learning science, they're learning aviation, aeronautics -- like, they are getting the gamut this week," Kelly said. According to a recent report by the United States Department of Commerce , women make up just 24 percent of people in STEM careers, but for these campers, the sky's the limit.